Want to be greener in 2015? There’s an app for that! Apps, or application software, are designed for use with smart devices like tablets and smartphones to make your life simpler and easier. 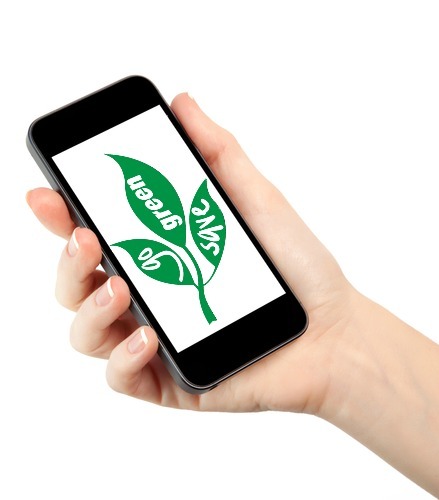 So have you considered using a green app? From recycling to carbon emissions, water footprints and local foods, there are lots of app choices to keep you motivated and stay on track. These 10 apps can help you choose earth friendly options and allow you to manage and track your progress. 6. Farmers Market Finder – There are a variety of apps out there to help you identify where markets are located along with hours of operation and type of produce sold. Be sure to use an app that’s applicable to your locale or includes areas that you visit often. (Free to $4.99). To find any of these apps, simply use the “search” feature in your app store on your smart device. You’ll find many more eco-apps but this short selection provides an introduction to help you form a new habit and stay on track without breaking the bank. *All prices based on Apple Store findings.